Maybe you have a loyal dog who follows you everywhere. 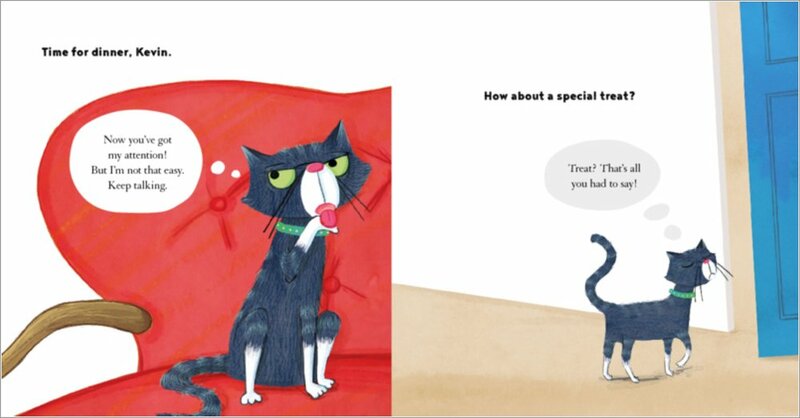 Or maybe you have a bossy cat like Kevin. (Think you own him? Nope. He owns you.) 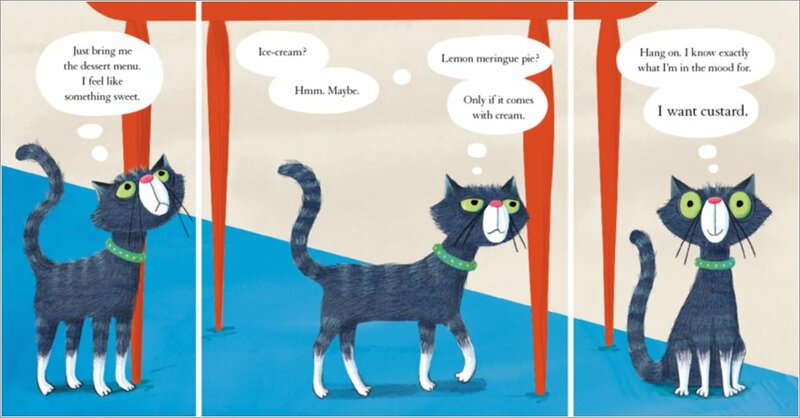 Kevin wants custard. Like, NOW! He REALLY wants it! Why don’t those dumb humans OBEY? Kevin’s whined at the fridge. 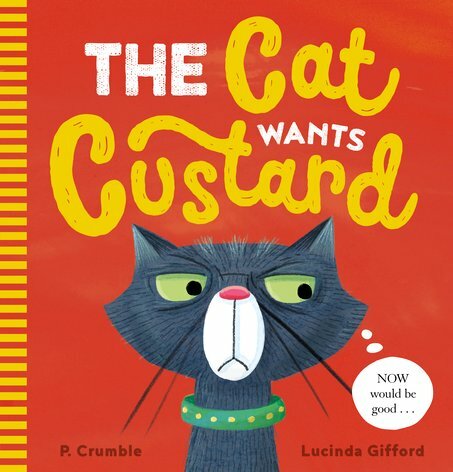 He’s mimed being a bowl of custard. He’s given his order to the waiter. (That’s you.) He’s even used his furry body to spell C-U-S-T-A-R-D. 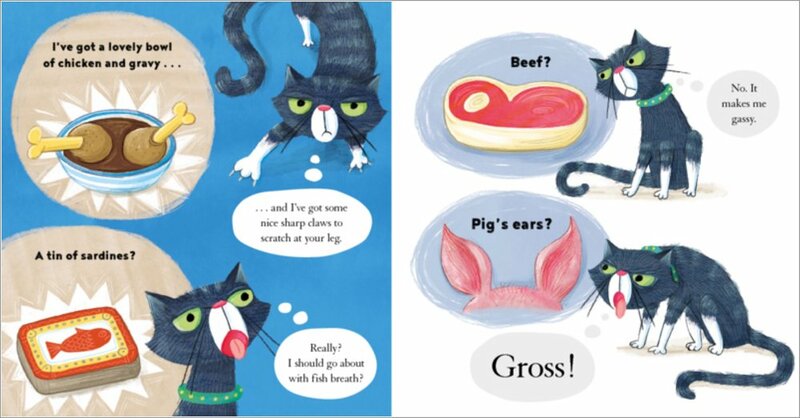 If you like Mo Willems’s Pigeon books or the horribly funny Pig the Pug, you’ll love to hate this rude cat. The purr-fect antihero!